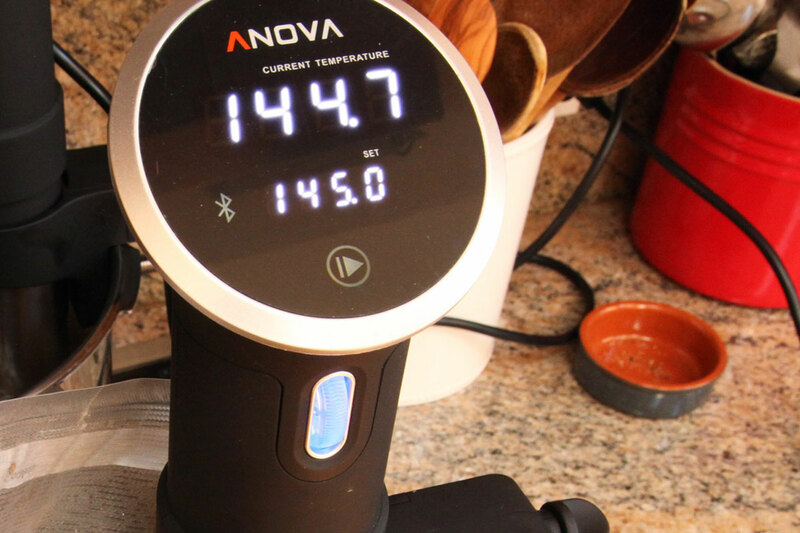 Like bacon, sliced breakfast ham or Canadian bacon is not one of the meats you’d think would benefit from being cooked sous-vide, It’s such an easy meat to cook (plus it’s already par-cooked when you buy it), what benefit could there be? Cooked low and slow overnight, it retains all of its juiciness, but gains an incredibly luxurious tenderness that gives it an almost buttery softness. It’s also convenient: once cooked, all you have to do is sear it off in a hot skillet or on a griddle to crisp up the outside and give it browned flavor, and it’s ready to serve. The key is to keep the temperature relatively low. Any higher than 145°F / 63°) or so and it’ll start to dry out and turn stringy. But cooked overnight right at 145°F? It’s perfect. The great thing is that if you get yourself a package of Canadian bacon or ham that’s already vacuum-sealed, you can cook it directly in its packaging. After cooking overnight, you can refrigerate it for up to a week, taking out slices and searing them as needed. Of course, you may just end up eating them all at once, because they’re that good. To sear, I use a hot skillet with a little bit of oil, which improves contact with the pan and provides better browning. I prefer searing my ham on one side only, using a stiff spatula or a griddle press to keep them in firm contact with the pan for optimum searing. 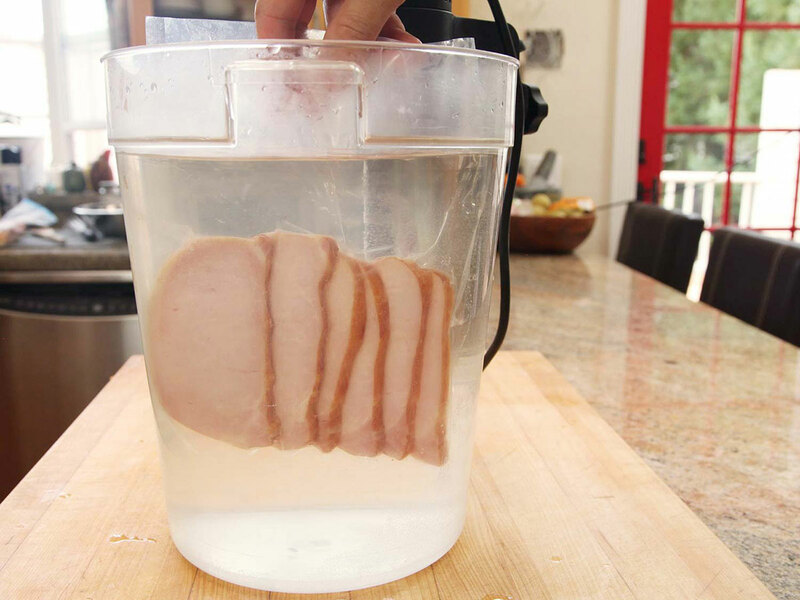 Place ham in a heavy duty zipper-lock bag or a sous-vide bag (it's okay if the ham slices are stacked) and remove all air from bag using the water displacement method or a vacuum sealer. Add bagged ham to the water bath and cook for at least 6 and up to 12 hours. 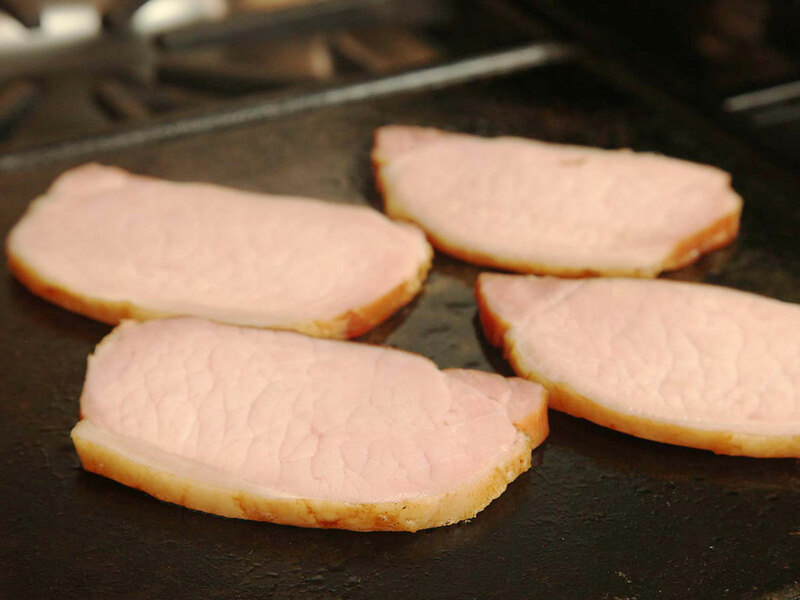 Cooked ham can be seared and served immediately, refrigerated for up to 1 week, or frozen for up to several months. If frozen, transfer to refrigerator and allow to thaw overnight before searing. Preheat a skillet or griddle over medium-high heat for five minutes, add 1/2 teaspoon of vegetable or canola oil, then add ham. 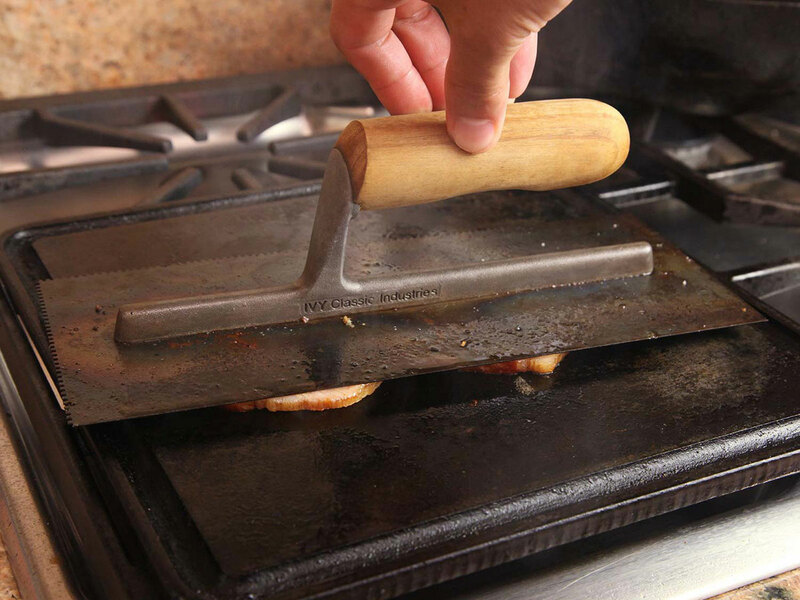 Cook ham on one side only, using a stiff spatula, a griddle press, or a metal trowel to keep it flat. Cook until crisp and browned, then serve immediately.